Being an Apple fanboy is not a thing to be ashamed of. They do make great devices, revolutionary, we can say. However, iTunes is the one thing that used to be good but is getting more and more difficult to use. And this is what makes many people be looking for an alternative. I honestly believe iTunes has its audience because it's a native Apple audio player for Mac. iTunes serves not only as a music player, that's clear, but today I want to focus on its details only regarding playing music, leaving the store behind. Another player that has recently entered the market is VOX Music Player for Mac & iPhone. So I'm going to compare these two according to their functionality, compatibility, format support, interface and additional functions. iTunes is a useful tool in this regard. It's a default player, which operates not only a player but as a store which constantly offers you new releases or special offers on some songs or albums. VOX has fewer tabs for so it's quite easy to navigate. The focus of the player is the playback and what I believe the great thing is that VOX doesn't ask you questions. It has a primary function, and it nails it. iTunes tries to follow all the hip streams in design, including a clear dominance of white tones and an overall minimalistic look. They do follow some of Dieter Rams's Principle of Good Design. Especially this one: Good design is innovative. 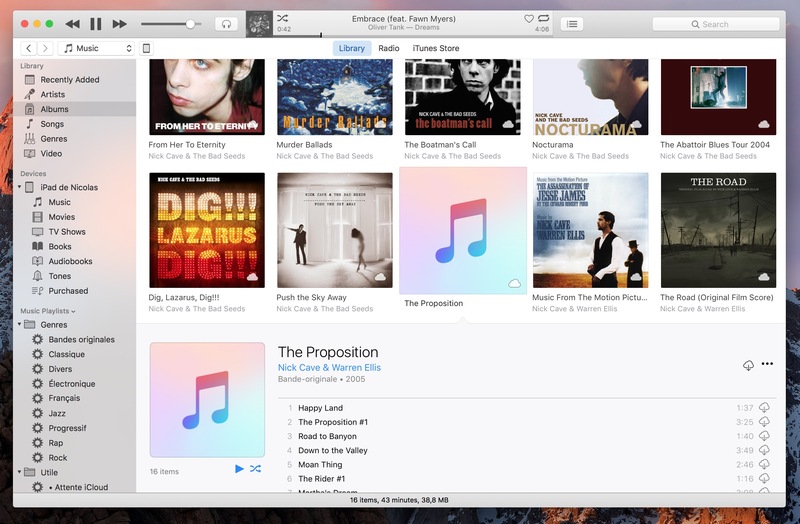 However, they also clearly ignore some others, more relevant ideas that would improve iTunes. Notably, you can get easily confused by the number of tabs and windows, and sometimes there's a feeling that Apple has gone too far with using minimalistic design so that it often lacks some details. VOX, on the other hand, emphasizes practicality and everything in its interface aims to ease the use of the app and help you navigate through it. VOX player for iOS uses intuitive design, so whether you swipe, tap or scroll the app does exactly what you want it to. That's what we call Good Design. 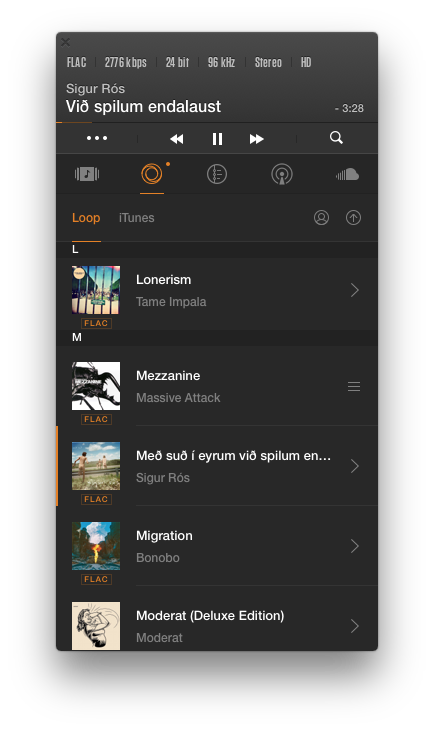 The interface boils down to five tabs: Playlist, Library, Queue, Radio, and SoundCloud. Seems pretty simple. iTunes is tailored to support Apple's audio formats like AAC, AIFF, and ALAC but it can also play MP3 and WAV. The list isn't big since Apple sells music in AAC and to make people even more iTunes-dependable, the only lossless audio format available is ALAC which is Apple Lossless Audio Codec. See my point? VOX has a much wider selection of audio formats. They include FLAC, ALAC, AIFF, MP3, OGG, WAV, WMA, PCM, CUE, DSD, and others. The list is too long, but I can assure you that you're unlikely to find a song that VOX can't play. iTunes works with all Apple devices, iOS, macOS, Windows, and tvOS based. For all Apple devices, it goes as a native audio player and store. VOX is available only for macOS and iOS users, however, apart from storing your local library, it allows you to combine music from SoundCloud and Spotify into one playlist, so you don't have to switch between the apps. There's also a music cloud designed exclusively for VOX users called VOX Cloud. It's an unlimited music cloud storage for all your Hi-Res music that syncs your iPhone and Mac making it possible to listen to Hi-Res music on iPhone. iTunes is not just a music player but a store with millions of songs ranging from $0.49 to $2.99 per song. To be able to use radio and music streaming you need to have a paid Apple Music subscription. SoundCloud and Spotify integration and the feed from the people you follow on SoundCloud can be accessed freely. Radio with more than 30,000 stations. VOX for Mac has a YouTube streamer . 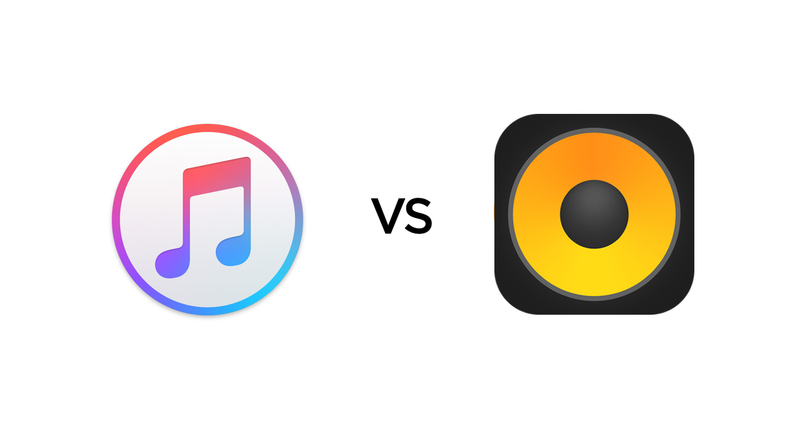 What to choose – VOX vs. iTunes – the decision is up to you.